The Akina Family has operated the oldest and continuous passenger transportation service on the Island of Maui, establishing a history of service to its customers for over 85 years. The Akina’s goal to provide unique tours, quality service and the Aloha Spirit to all of their customers has become a tradition. 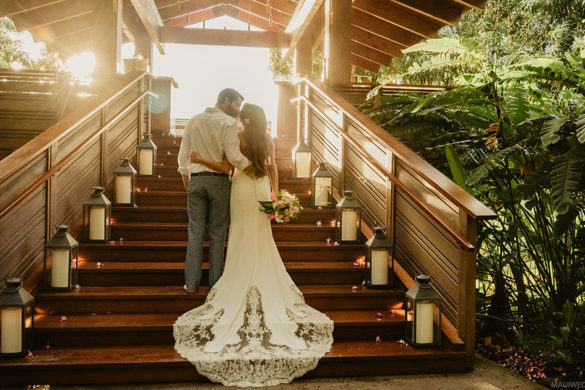 Aloha Maui Limousine is your one stop Full Transportation Service Co. We do Airport transfers, Dinners, Weddings, Proms and Around the Island Tours. We can comfortably accommodate anywhere from (1) one to (14) fourteen passengers. Aloha Maui Limo’s very knowledgeable drivers, will take you to the Best spots to Swim, Snorkel or Dine., We can help you find the best spot for the Perfect Romantic Sunset on the Island of Maui. Here at Aloha Maui Limousine we are known for our ON Time Attitude, our motto is: If we are 30 minutes early, we are on time!. If we are 15 minutes early, we are considered Late! Here at Arthur’s Limousine Service, we put the greatest emphasis on “service.” In this day and age when all the world is focusing on quantity, Arthur’s is still dedicated to quality. Simply put, we are proud to serve. This pride extends far beyond just the outstanding attention of our chauffeurs to you, our guest. Pride includes the care and etiquette we display in helping you with your reservation. Pride includes the extra effort we put into our fleet maintenance, both in terms of cleanliness and safety. Pride includes the respect we show for your needs, your time, and your privacy. Aloha and welcome to Baron’s Limousine’s website. Locally owned since 1992. We pride ourselves on a high quality of service making every client feel like royalty. We are an exclusive limousine company, with attention given to every last detail. Let our professionally trained chauffeurs and knowledgeable staff take care of all your transportation arrangements so you don’t have to worry about a thing. Our beautiful latest model luxury vehicles will have you cruising first class to your wedding, hotel, airport,or special event. We offer island wide service and are ready to cater to your every whim. Count on our staff in Maui, Hawaii, for exceptional Maui limousines and transportation services. We love weddings and strive to make your dream day come true with exceptional service. Barons offers ‘in house’ engraving and will offer to our brides our custom etched champagne flutes at wholesale pricing. For weddings over 4 hours Barons will give a set of these beautiful flutes as a complimentary keepsake of your special day. Bio-Beetle uses earth friendly coolants, synthetic engine oil and non toxic cleaners and will always choose the most natural, biodegradable, earth friendly, animal friendly, options available. They use 100% recycled paper, support local businesses, buy organic when possible.. They live off grid, in a small bamboo house with solar, water catchment, and large gardens, and are strict vegetarians. They also created a sanctuary for homeless cats and sponsor over 130 cats currently, and are involved with other local groups working for the greater good. Chauffeured Services and Tours on the Big Island, Maui, Kauai & Oahu. Custom Private Limo Tours, Airport and Wedding Transportation. Limousine service on Maui, Hawaii serving Wailea, Kihei, Kaanapali, Napili, Kahului, Makawao, Kula and most anywhere where a limo can drive. We provide the ultimate in luxurious private car services. Our fleet of vehicles include limousines, sedans and sports utility vehicles. Perfect for airport transportation, weddings, corporate events, night out on the town and much more. 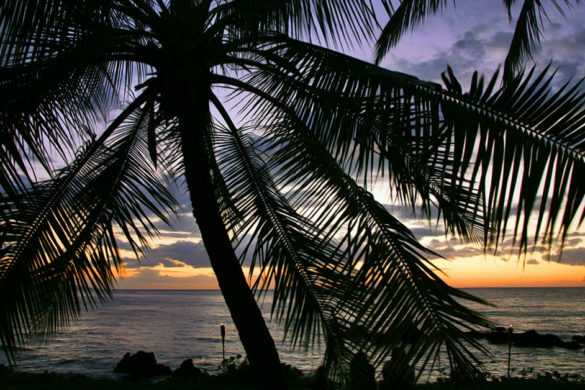 Take the stress out of driving and enjoy paradise! Ride like you live here in a custom, lifted Jeep Wrangler Unlimited Sport. Some of the best pricing for jeeps on Maui, and they’re new! Take advantage of top quality vehicles maintained by experts. These are perfect for couples as well as families that want a better view, higher ride, and smooth trips. One of the most stylish options for arriving to your wedding is without a doubt a 1957 Porsche 356 Speedster Convertible reproduction from Maui Roadsters. With a fleet that includes a variety of colors, all of which seat two people, treat yourself to a cruise in one of the most luxurious cars on the island! We highly recommend at least a full day rental, perfect for the bride and groom to celebrate in style! Maui Tours and Transport llc is committed to providing consistently high-quality service. With focus on serving local, national and international business and special events clients. We offer vehicles for corporate service and convention service transportation, as well as weddings, dining, all island tours and other special events. The fleet comprises two twenty four seat mini buses and a six seat SUV. All available for group or individual charter. Custom designed vehicles ensure for the most superior transportation experience. Enjoy scenic views from expansive panoramic windows and deluxe captain’s chairs. The staff at Platinum Tours of Maui create memorable excursions that reflect unparalleled island expertise. Price for Limo is nationwide and has access to the best limousine & party buses with the ideal vehicle for each & every trip. Large selection in every size and variety.Click on our website to start your search! Our friendly team will be happy to help you! Rock Star Rides was established in 2011 to fill a void on Maui for a Luxury Bus Service that provides a fun and safe atmosphere everyone can enjoy. Whether you’re looking for a night on the town or planning a special occasion we will exceed your expectations with our exceptional level of service. SpeediShuttle’s island offices are located near the international airports and harbors while we service numerous hotels and resorts across the island. We are ideally positioned for all your leisure and business ground transportation service needs. Our Mercedes Benz shuttles are both comfortable and modern. We are confident that you will find our prices surprisingly affordable, and coupled with exceptional service that is second to none. Our drivers are professionally trained local experts who enjoy providing our guests information on all there is to do in and around the islands. Our vehicles are of course available for local private hire. We can carry up to 11 people with luggage. All Tours and Charters are private and customized to your personal needs. Our Concierge can help with Restaurant Reservations, Accommodations, Tours, Hawaiian Island Info and Activities. We provide national service and are located near international airports. Airport transportation, bachelorette party transportation, bachelor party transportation, wedding transportation, funeral transportation, prom transportation, meeting transportation, downtown and international transportation, transportation to ports, sport event transportation, dinner and theater transportation, sight seeing transportation, sweet 15 transportation, sweet 16 transportation, conventions centers transportation, out of city transfers and charters transportation and more. Adventure, excitement, and an experience of a lifetime await you at on the breathtaking island of Maui! Guests will enjoy first rate transportation in modern Limo Vans featuring large windows, spacious atmosphere, and soft European leather seating. Our group tours throughout Maui are intimate with only 6-8 guests per Limo-Van so that you may explore at your leisure. All Maui sightseeing adventures provide beachside lunches and are expertly narrated by Hawaii State Certified Guides that will detail the fascinating culture and history of the island. With just 6-8 guests per Limo-Van, you will share your adventure with a small group of discerning people, who, like you, want to explore the remote and uncommonly beautiful. Appreciate the value of your time to fit more excitement and variety into each vacation day. Let Temptation Tours be your tour guide for offering the best in comfort, convenience, service and security. As Maui’s premiere limousine company, we specialized in luxury, full service, safe and reliable transportation for over 15 years. Whether it’s a wedding, airport transfer , tour, dinner charter, corporate function or any other special occasion, you can be assured we’ll make it memorable. Our meticulously maintained fleet of vehicles, including late model limousines, sedans, SUV’s and passenger vans will cradle you in opulent comfort. Let Wailea Limousine treat you as first class luxury.